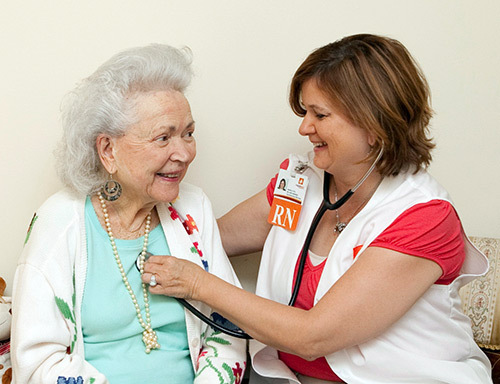 Village Home Health and Hospice Care was established to further both organizations' missions. Dedicated and talented staff provide skilled home health services to enable individuals to recuperate safely in the surroundings where they feel most comfortable ….their own home. Medicare, Medicaid, managed plans and most commercial insurances cover skilled home care. We will verify your insurance before our services begin so you will know upfront of your insurance's coverage. Similar to Home Health Care, our team will bill Medicare and other insurance policies based on benefit availability for Hospice Care. Call us at 513.782.2546 or visit us by clicking here. "Village is my preferred home health agency. I know that I can count on their staff to serve my patients. The Maple Knoll nurses and therapists genuinely care about putting the patients first and always keep me informed. They do an outstanding job supporting my patients. My patients tell me how much they help. In fact, I recommend them to family and friends." – Susan Schrimpf Davis, D.O.